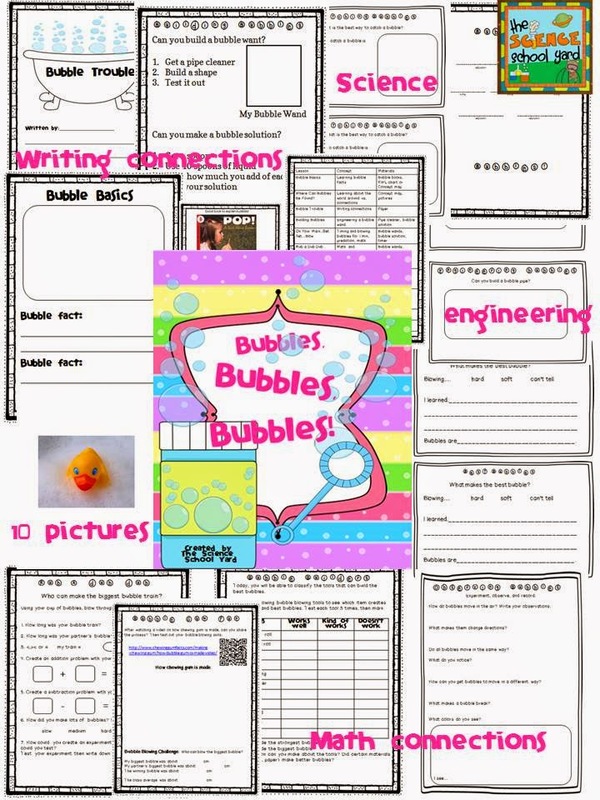 This week, our 2nd graders are working with bubbles to understand that air is there. We are starting out with this great Pop! A Book About Bubbles! Power Point...something great I found for free on TPT from Hollie Griffith. We then observed the skin of the bubble, bubble gum blowing, and how to hold a bubble to observe the colors and air inside. We proceeded to go outside to blow bubbles, but as we blew to think about our questions of the day: How can bubbles change direction? How can we make them change direction? How are bubbles act the same and different from each other? and What makes them pop? Bubbles change directions because of the wind! We see colors in the bubble and the skin on the outside. We came back inside to write down our observations using sheets from my bubble pack. As they worked, they listened to the fun song from Doris Day. Soothing just like a bubble! We then shared our observations! Fun day in science!